Whether you’re hungry for something to munch on for breakfast, lunch, or dinner, a coffee to go, or a delectable dessert, look no further than Miles Table. Newly opened on the stretch of South Street that is quickly gaining a reputation as Philly’s newest restaurant row, Miles Table serves breakfast all day along with large salads, sandwiches, pizza, La Colombe coffee, and baked goods. If you’re really hungry, try a large plate like the sustainable verlasso salmon served with sesame ginger green beans or the house made spicy Italian sausage and fennel with san marzano and mozzarella. 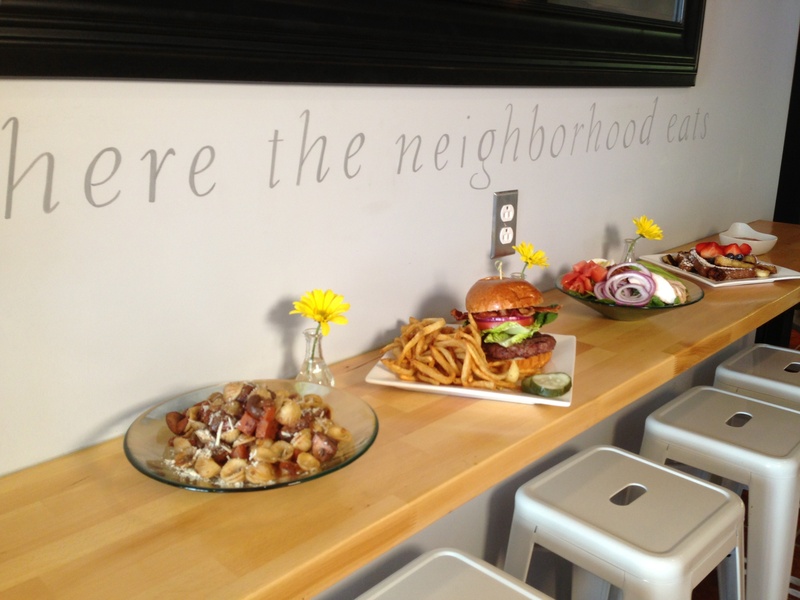 You know you can expect quality and convenience from owner and chef Michael Lynch of Catering by Miles, the exclusive caterer of the Lombard Swim Club, at this neighborhood spot. Miles Table is located at 1620 South Street and can be reached at 267-318-7337 or online at www.milestable.com. Are you looking for an outdoor activity that will provide fun for the whole family? If so, then come on out to Linvilla Orchard’s ninth annual Family Fun Fishing Derby! This year’s derby takes place on Saturday, April 6 from 9 am to 2 pm. Orchard Lake will be stocked with over 1,000 trout, which means that all participants will have a chance to catch that special fish and win a trophy or prize. No fishing experience or license necessary! Fishing rods and bait will be available at the fishing site. Each fisherman can fish all day for $14.99 per person and take home their first fish for free. 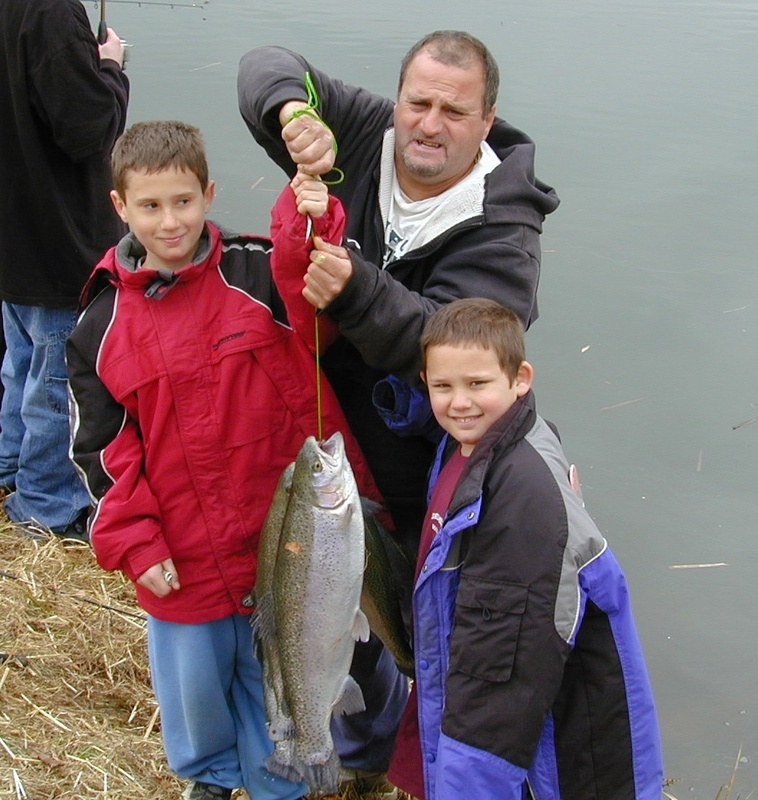 So come out to Linvilla Orchards to help your youngster catch their first fish and create a memory that will last a lifetime. Linvilla Orchards is located at 137 W. Knowlton Rd, Media, Pa. For more information, call 610-876-7116 or visit www.linvilla.com. 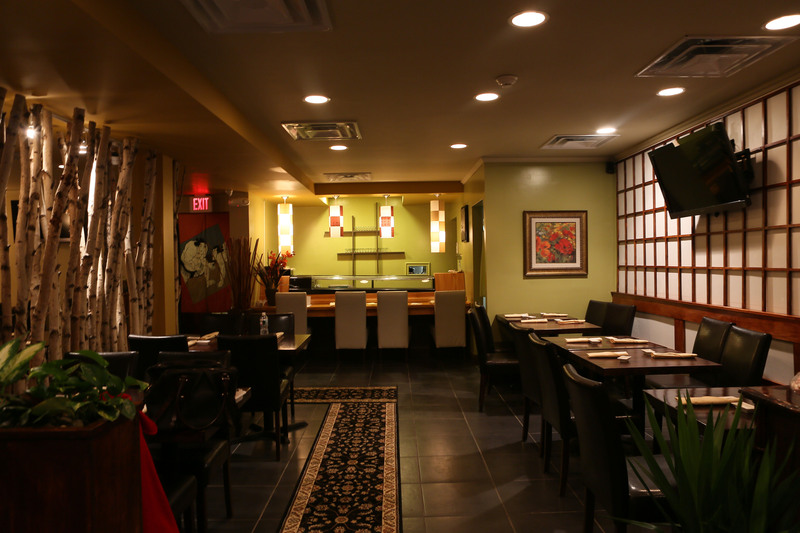 Megu Sushi is proud to announce its third location in Ventnor City, New Jersey, is now open! Already a favorite in Moorestown and Cherry Hill, Megu Sushi will bring fresh lunch and dinner options to the Ventnor area. Whether you’re preparing your shore house for the upcoming summer season, rolling the dice at the casinos, or spending a day a the beach, Megu Sushi will provide you with quality sushi that will satisfy your cravings. Stop by for lunch or dinner Monday-Saturday or dinner only on Sundays. During the month of April you can enjoy a Ten Course Tasting Menu for only $30 any Sunday through Thursday evening. Reservations are required for the tasting menu. The restaurant is located at 5214 Atlantic Avenue, Ventnor City, and can be reached at 609.289.8693. Come and see for yourself why some people can’t get enough of Megu. 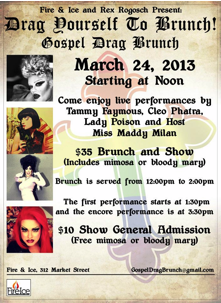 Drag yourself to brunch with the hottest queens in Philadelphia! Old City’s Fire & Ice restaurant is hosting a fab drag show to accompany their scrumptious brunch on Sunday, March 24 between noon and 5 p.m. The cost is just $35 per person and in addition to the show you’ll have the opportunity to enjoy some really great food. Our mouths are watering just thinking about the made-to-order omelets or aromatic poached whole salmon with fried salted capers, olives, eggs, and tomato with wasabi and red wine vinaigrette, in addition to many other dishes. And as a sweet bonus you’ll get a complimentary mimosa or Bloody Mary. Can you think of a better way to enjoy a Sunday afternoon with friends? Fire & Ice is located at 312 Market Street in Philadelphia. For reservations call 267.273.1003 or visit fireandicephilly.com. 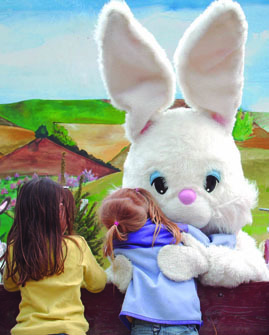 Hop on a Hayride… to Bunnyland! Every year, the once cold days of winter turn into the bright warmer days of spring. With trees blooming and flowers blossoming it’s the perfect time to get outside and enjoy the emergence of nature’s beautiful return. There’s no place quite like Bunnyland at Linvilla Orchards. Hop aboard a hayride through the orchards to the Easter Bunny’s house where you’ll have the chance to meet Linvilla’s Easter Bunny! Be sure to bring your camera since the Easter Bunny likes to take pictures and give special treats to everyone who visits. The fun isn’t over at the end of the hayride. There are also pony rides (on weekends), train rides, face painting and other fun activities for all ages to enjoy. So stop by Linvilla Orchards this spring for a fun-filled festive day and plan a hayride to visit with the Easter Bunny in Bunnyland, open March 16, 17 and 23 – 30 from 11 am to 4 pm. Linvilla Orchards is located at 137 West Knowlton Road, Media, PA 19063. To learn more visit www.linvilla.com or call 610-876-7116. 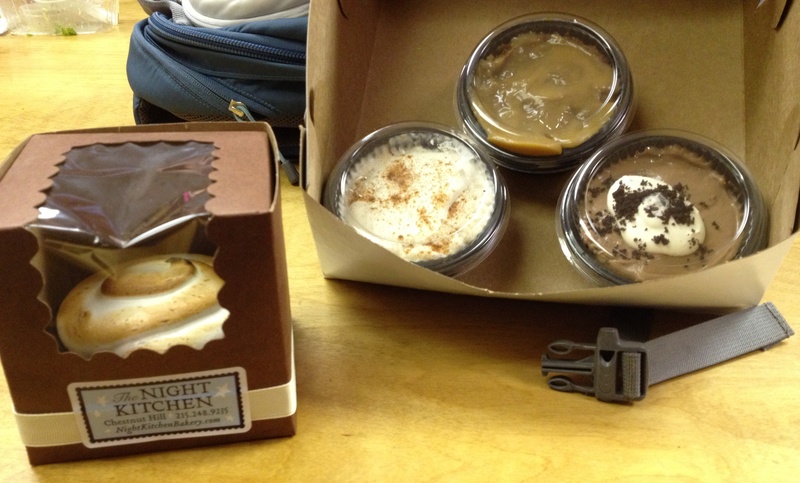 Ever since we learned that Night Kitchen Bakery owner Amy Edelman was going to launch a line of homemade puddings, we at Breslow Partners were dying to try some. We had scheduled food drops at the Philadelphia Inquirer, Food & Wine magazine and a couple of other places. And to reward all of our good work, Amy dropped off a box of samples. We couldn’t wait to rip the lids off and dig right in! They were even more delicious than we could have ever dreamed. Tina loved the key lime pudding with graham crust and meringue. But Julie and Jules couldn’t get enough of the sticky toffee: a traditional date cake soaked and topped with caramel sauce. But it wasn’t long before all the puddings were gone and we were greedily wishing for more. Mmm mm good! 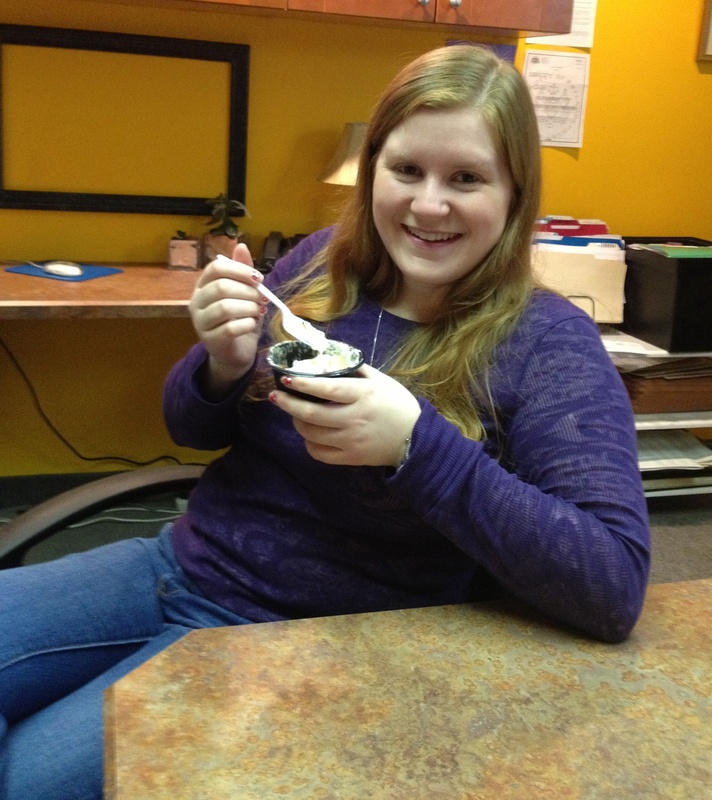 We can’t thank you enough for letting us try your puddings, Amy, but we think we might need to conduct further testing! 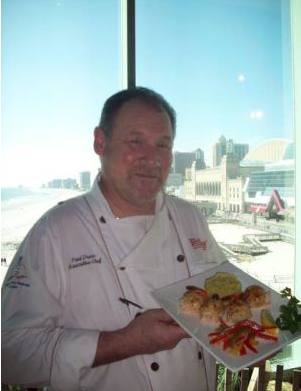 Phillips Seafood announces a culinary adventure for those interested in an interactive and educational event with Chef Paul Drew. Get VIP treatment in an intimate setting while the chef shares his expertise and demonstrates his techniques on preparing d eliciously mouth watering dishes you’ll want to prepare for either guests at your next dinner party or even enjoy for yourself!